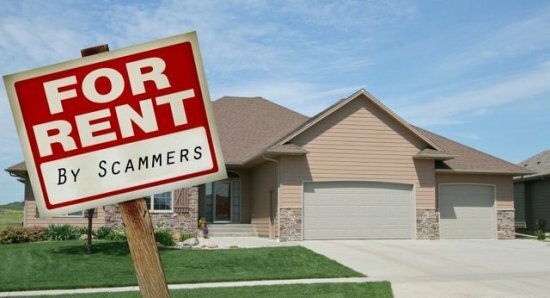 On other classifieds sites, there are rental property scams abound. One of the most common scams is that the con artist will copy an ad from a legitimate real estate site, then will repost the ad on a site like craigslist claiming that they are in control of renting the property. Since a lot of people’s first go to site for rental properties may be craigslist scammers will use that site in droves to try to take your money. But what if you see an ad on a real estate site then see an ad on craigslist for the same property at a different price? While this is a rare occurrence, a woman from New York was looking to find a rental property in Florida. She first found a property on a legitimate vacation rental site but then found the exact same property for rent on craigslist for a cheaper price. Wanting the better deal, the woman sent money to the person who allegedly placed the craigslist ad. The woman sent $3500 for a rental deposit, the check was cashed and the woman never heard back from the craigslist renter. The alleged con artist also tried this scam on a Canadian family and law enforcement was involved leading to the suspect’s arrest. If you see two ads for the same property and the one on craigslist is at a lower price, it’s almost guaranteed that the craigslist ad is a scam. On craigslist the ‘if it’s too good to be true, it probably is’ adage applies more than on any other classifieds site since craigslist doesn’t moderate their ads or submit them to any kind of review process. They only care about the quantity of ads and not the quality.